MonteLago Village at Lake Las Vegas Resort keeps relaxation and refinement close at heart for an unforgettable resort vacation. Meander down a cobblestone street. A bench tucked beside a fountain invites you to simply sit and watch the waves dance on the lake, reflecting the beauty of this luxurious Las Vegas golf resort. Across the way, hand-blown glass vases in an exciting new gallery play with the desert light. Browse for the latest fashions, or curl up with a cappuccino and compare your latest round of golf. Indulge your soul in a rejuvenating treatment designed to capture the heart of this lavish Las Vegas spa resort. Around every corner you'll find new options for dinner in the best international traditions. 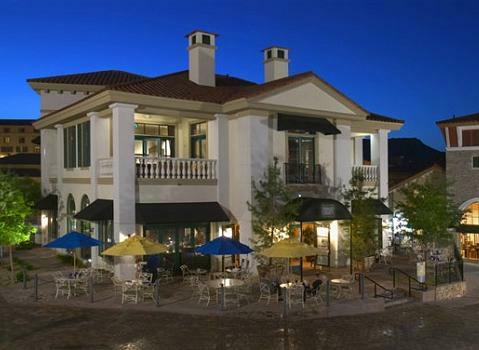 Black Pepper Grill is the most talked-about new addition to the MonteLago Village at Lake Las Vegas. With a menu featuring a variety of steak, seafood, chop, live lobster, sushi, and pasta, there's something for everyone. Whether it's for a lunch meeting, a romantic dinner, or a family gathering, Black Pepper Grill is the perfect setting. And, whether it's indoors or out on our patio overlooking the lake, we guarantee you a great meal, a great view, and a memorable experience. Our entire restaurant and a private room are available for unforgettable weddings, banquets, or business gatherings. Since opening in 2005, Tony DePasquale has been helping Henderson residents and business owners with all of their financial service and investment planning needs.